In some cases, injuries and illnesses suffered at work disable a worker totally and permanently. However, far more often, a worker is partially disabled rather than fully incapacitated. This can mean that the worker will not be able to work at the same level of productivity but can still do some aspects of the job. In Massachusetts, health care providers can provide an impairment rating that will allow an insurer or judge to make a decision about appropriate partial disability payments. The Boston workers’ compensation lawyers at Pulgini & Norton are familiar with this process and can advise you on your options. Many injuries can lead to a partial disability that affects an individual worker's ability to earn a living. Some injuries of this type include fractures, broken bones, tissue damage, and strains. Whether these limit a worker depend in part on what the worker's job duties are and the number of hours worked. When a worker has some reduction in functional ability, a health care provider can assign an impairment rating. It provides an impairment rating based on the American Medical Association Guides to Evaluation of Permanent Impairments. The rating will take into consideration the employee's physical fitness and health prior to becoming injured or ill, as well as the worker’s age, activity level after becoming partially disabled, and medical treatment. The impairment rating can affect the amount you are paid in benefits. While some injuries, such as broken bones, are easy to document, others, such as repetitive stress injuries and psychological problems, can be harder to prove. A health care provider must document a disability in order for a worker to recover benefits. Different amounts may be paid based on a worker's degree of impairment. The more serious a disability is, the greater is the multiplier used in connection with a worker’s average weekly wage to calculate workers' compensation benefits. During each week of the worker's partial incapacity, an insurer is supposed to pay an injured employee benefits equal to 60% of the difference between his or her average weekly wage before the injury and the weekly wage he or she is capable of earning after the injury. However, the rate for partial disability benefits is not more than 75% of the employee's temporary total disability rate. A judge can set the rate up to 75% of the temporary total disability rate based on the impairment rating and the standards described in the American Medical Association Guides to the Evaluation of Permanent Impairments. A worker is not supposed to receive more than 260 weeks of partial disability benefits. However, this can be extended to 520 weeks if the insurer agrees or if the administrative judge determines the worker has suffered a permanent loss of 75% or more of a bodily function or sense, as specified in certain sections of the Workers' Compensation Law, or has developed a permanent, life-threatening physical condition or become sick with a permanently disabling physical occupational disease. If no finding of permanent partial disability is made, nor is an agreement reached with the insurer, the employee can receive benefits for not more than 364 weeks. 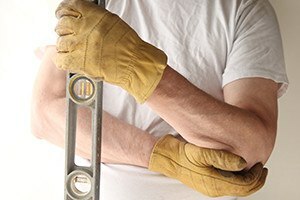 If you are concerned about your impairment rating, our Boston workers' compensation attorneys may be able to help you obtain recourse through the dispute resolution process. Pulgini & Norton also represents people in Andover, Weymouth, and Newton, among other areas of Massachusetts. Contact our workplace accident lawyers at 781-843-2200 or through our online form to set up a free consultation.